Community based aged care and disability services are moving to an individualised funding package model. We explore what this means for service providers who are accustomed to receiving a block funding grants. 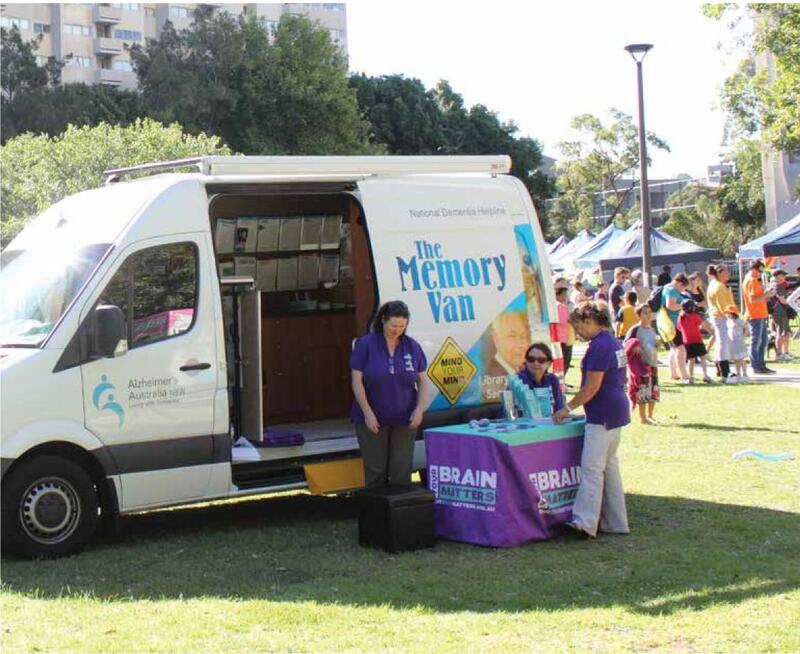 Alzheimer’s Australia at Waterloo Summer on the Green: Funding mechanisms for community outreach and community education are still to be determined. Inner Sydney Regional Council is concerned that many quality provider organisations may not survive the transition away from block funding to the new ‘system’, and that there will be a reduction in choice for people with disabilities and older people. The current market for community aged care and disability support services is highly regulated. Services are required to meet Common Community Care Standards and/or the Disability Service Standards and implement continuous improvement plans. The rationale for the move to the National Disability Insurance Scheme (NDIS) was to reform the disability support system in order to give people with disability greater control and flexibility about how they are supported to live the kind of life they wish to live in their local community. The structure of the current community care system precludes services from tailoring services to clients due to contractual obligations to deliver only specified services, meet stringent risk management requirements and high output targets, the net result of which is structurally limited service. The move to individualised funding is positive for consumers as it allows for flexibility and arguably greater responsiveness to individuals’ needs as the clients are able to choose more widely from services offered by the service system, private services and potentially the general community. Aged care packages are allocated through the Aged Care Approvals Round administered by the Department of Social Services. The Department uses an area allocation formula to determine the relative need for aged care packages across different funding regions across NSW. Each year an allocation is made and services are encouraged to apply to provide the packages. Starting in 2012, all new packages are required to be offered on a consumer directed care basis. This means that the package provider works with the client to understand their abilities, need and goals to devise a plan that best support them. Based on this support plan the service provides the client with a choice of services at different price ranges which the client then approves. Under the NDIS, the system functions quite differently, as the assessment and planning are done by one agency – the National Disability Insurance Agency (NDIA). If there is a change in the person’s life and they require different support, they need to go back to the NDIA for an amendment of their plan. Under the NDIS, the service provider is strictly a provider, as opposed to the current model where there is an element of coordination and case management. The current Home and Community Care (HACC) system is a broad community based aged and disability service system based on specialised services such as transport, meals, nursing, social support and others. The NDIA and package providers are to purchase services from HACC providers according to a set price for that region as in the Hunter demonstration site or according to the true cost of service delivery for that provider. It remains to be seen how the HACC service system is going to be transitioned across to the individualised funding model. For many services in Eastern Sydney block funding is their core funding – accounting to 80 per cent or more of their total income – without which they are not able to provide a service. Some of these services are considering partnerships with other similar organisations in order to spread the risk by diversifying, be able to offer new services and attract funding. Services have developed creative ways of using and supplementing their block funding e.g. relying heavily on local volunteers, partnering with other community services, obtaining small grants from local councils and other government bodies and discounts from local businesses. The reality of the situation is that the market, if we can call it that, for disability and aged care services was established by government through block funding grants tied to hours of service provided to people with disability. The funding arrangements were structured such that the service provider would receive funding which was adequate to cover the cost of service provision. Transitioning from block funding to individualised funding would have the greatest impact on services that do not have sufficient reserve funds to cover their running costs as the new system works on payments in arrears. This may happen if they do not have enough clients to meet operational costs, as true costs of service delivery are far greater than the costs assumed under the block funding model. A move toward individualised packages would need to ensure that the true cost of service provision in the person’s community is reflected in their care plan/funding package. An individualised funding model shifts services toward a new business model where services are now required to calculate their true costs of service delivery which is to be charged from the person’s funding package. Wider community activities that cannot be individually billed have to be dropped or funded from elsewhere. One issue is, if the funding package is not adequate to meet the person’s needs and the cost of service is high then the clients may be missing out on services they need to remain living independently at home and to realise their potential. While under the old model the person is guaranteed hours of service, under the proposed model the person would be guaranteed a funding package. The amount of funding needs to reflect the person’s support needs based on real world prices of service delivery in the person’s local area. Someone in a remote rural area will have a higher cost to receive a service than someone in a metro area who can have access to services without long travel times so to provide equity funding packages need to take such factors into account. The onus is on the person with disability to purchase goods in the market that best meet their needs. In this case, we may see people with disabilities moving away from traditional disability supports towards general services in the community, where they exist, which are more competitive. This may work very well for a portion of the population but not everyone. People with higher needs are likely to have to rely on specialised disability supports which may become priced out of their reach if the price for disability supports is deregulated or if the funding package is not adequate. Service providers may also come under pressure from new players in the market. When individualised funding was introduced in the UK some clubs provided services in competition to centre based services on a lower cost base because they were leveraging their existing facilities and their marginal costs were lower than the costs of existing dedicated services. We suggest that a change is needed to government policy in funding and administering services to people with disabilities and older people, in order to ensure that nobody misses out on vital services due to market failure in their local region, by moving to a model that guarantees hours of service – as opposed to a funding package as cost structures vary greatly in different parts of the country. The strength of the block funding model is that it not only supports people with disabilities and older people in their community, but builds social cohesion one suburb at a time as the services draw on support from their local community in order to deliver services. This is the hidden benefit of block funding. Community development and outreach would need to be funded separately to the individualised model as an individual client cannot be billed for services which benefit the broad community. Information provision should occur on a local level through outreach services provided by disability service providers, day centres, community and neighbourhood centres as well as state wide projects such as IDEAS NSW and regional development projects currently funded through HACC/CCSP (Community Care Support Program), who have specialist knowledge and expertise. These include community-based organisations with established links of trust over many years, such as Multicultural Access Projects (MAPs). While there is great demand for specific community based aged care and disability services, people tend to seek out supports at a point of crisis as noted by the Productivity Commission. This is the reason why outreach is important as it links people with supports at an earlier stage. True outreach is more than promotion and marketing, as services spend much time talking to people with disabilities and their friends and family about disability and how the sector can best support them. Some clients from Aboriginal and CALD communities require active support (two or three visits as there are significant cultural issues to work through) before they feel comfortable in accessing support services – HACC funded Multicultural Access Project is best evidence of this approach. Services need to be able to continue to outreach to the broad community and we feel that this is best achieved through some type of block funding. Outreach does not fit as part of the individualised funding model, as these services are provided free and cannot be billed to someone in the NDIS system. Information services for hard to reach groups and even the general community of people with disabilities is greatly needed. This was identified in the 2012 Census report – that many people with disabilities needing supports with daily living tasks were not receive any. Community development and sector support are the other funded areas which are not recognised in an individualised funding model. These projects support service providers in meeting quality standards, planning for change, professional development, and organise local service planning sessions, as well as the vital role of advocating on behalf of local service providers and consumers systemically with members of Parliament and funding bodies. Community Development projects also run forums for local service providers which assist with local service integration, promotion of good practice and responding to the reform process – HACC funded regional development projects are a good example of this approach. The greatest benefit for the participants of the NDIS will be achieved by adequate block funding of non-individual service delivery aspects of the system such as community development, innovation, evidence and capacity building, collaboration practice, research, building partnerships with similar sectors, such as housing, transport and others. If we are not to lose some of the benefits of the current block funding system these other important elements also need to be identified and a funding regime put in place for them. The new community based aged care system which consists of essential community based services (HACC) and community aged care packages will not roll out until at least 2015. The NDIS is due to roll out in 2018 across different regions of NSW and the issues we have raised here are best addressed before full implementation We are at an early stage in this reform process. The new system is going to be shaped by what is learnt from the consumer directed care aged care package reviews and the functioning of the NDIS launch sites. As these changes roll out ISV will keep you up to date on issues as they arise.